Marcus is one of Australia's leading entrepreneurial coaches, specialising in assisting CEO’s and leaders implement, embed and measure creativity and innovation systems that result in enterprising behaviours. Marcus was awarded Australia’s Best Entrepreneurial Educator and has also been awarded for sustained excellence in collaboration between business and universities in Australia. He has managed, led and owned organisations in the fields of textiles, scientific instrumentation, education, information technology, consumer software development and tourism. 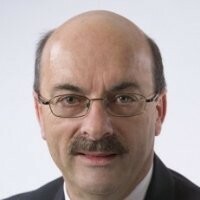 As an advisor and facilitator of change to boards and senior decision makers across tertiary and secondary education, pharmaceutical, medical devices, medical communications, city and state governments, fast moving consumer goods, beverage and entertainment industries, he has achieved sustained success for over 35 years. As a fellow of Ormond College, Associate Director Entrepreneurs and lead mentor at the WadeInstitute of Entrepreneurship, University of Melbourne, Marcus assists entrepreneurs make a lasting and significant impact by delivering sustainable social and economic dividends. At the University ofMelbourne, he also lectures in entrepreneurship (post graduate).